Americorp International Group’s (AIG) Petroleum Division is an international manufacturer and marketer of transportation fuels and other petrochemical products. 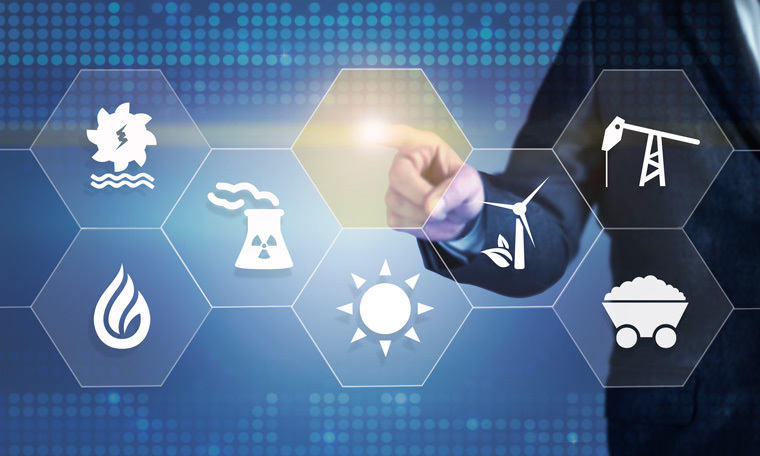 The energy sector is rapidly changing and evolving in such a way that all forms of energy, be it fossil fuels or renewable, are becoming less costly and more widespread. Our new technologies allow us to produce energy more efficiently to meet the rising demand. As we strive to lower our carbon footprint, we are developing ways that allow us to be more competitive so that we can provide energy to the world. AIG is a well-known solution source based in the United States with approximately 1,000 employees. We are an independent petroleum refiner and ethanol producer, and our assets include 10 petroleum refineries with a combined throughput capacity of approximate 500 barrels per day and 11 ethanol plants with a combined production capacity of approximately half a billion gallons per year. Our petroleum refineries are located in the United States, Middle East, South America and Asia. AIG has long-term relationships with many of our suppliers and customers, and we believe that we will continue to benefit from these relationships. We jointly own facilities with many of our customers who either provide raw materials to, or consume the end products from our facilities. These joint venture partners include major oil, natural gas and petrochemical companies, including BP, Chevron, ConocoPhillips, Dow Chemical, ExxonMobil, Marathon, Shell, Spectra Energy, National Fuel of Afghanistan, The cefe Group and American Eagle Oil. AIG provides ground transport solutions that ensure safe, rapid and efficient delivery of supplies to facilities in Afghanistan and across the Globe and it’s most remote & challenging environments. From the deep sea to the desert, from rigs to retail, we deliver energy products and services to consumers governments around the world. We provide customers with fuel for transport, energy for heat and light, lubricants to keep engines moving and the petrochemicals products used to make everyday items as diverse as paints, clothes and packaging. Our diverse portfolio is balanced across businesses, resource types and geographies. Having upstream and downstream businesses, along with well-established trading capabilities, helps to mitigate the impact of lower oil and gas prices. Our geographic reach gives us access to growing markets and new resources, as well as diversifying exposure to geopolitical events. AIGs “BEST-IN-CLASS” Oilfield service is a key link in our core business chain. 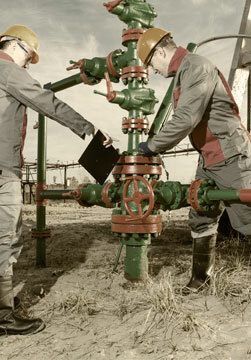 With well trained service crews equipped with sophisticated and specialty techniques and skills, we provide a series of oilfield services including geophysical prospecting, drilling, well logging, mud logging and downhole operations under various geologic and engineering conditions of land, tidal zone and shallow water areas, mountains, plateau, Gobi, desert, swamp, etc. We have developed long-term relationships with many of our suppliers and customers, and we own facilities with those who provide raw materials to us or take our end products from us. We also provide transport solutions so that our energy products are delivered across the world in a safe and timely manner. This allows us to provide our customers with energy products ranging from fuel to clothes and packaging. Our upstream and downstream businesses help us decrease the impact of low oil and gas prices. We are able to access new resources and markets because of our operations worldwide. Our “Best-in-class” oilfield service is a key link in our core business chain. Our highly trained service team is responsible for providing a variety of oilfield services such as: drilling, well logging, mud logging and more under various conditions of land, water, desert, and etc. They are equipped with the specialty skills and techniques to perform these services to the highest standard. We plan to help in the development of projects and concepts that deliver the highest value at the lowest risk to our clients. With the expertise of our team, we help clients select a contracting model that allows them to establish the most efficient prices, contract terms, and incentives. International business can be difficult to understand and maneuver around. That is why our team of experienced individuals will deliver easy to understand solutions while creating the highest outcome for our clients. We have made a commitment that global barriers would not affect the rising share of the energy sector onto our clients. We have delivered, with rising prices, the most strategic services to guarantee our client’s satisfaction. Marketing strategies are determined by historical outcomes. We pride ourselves in having a team with decades of experience in the industry to guide our clients in the proper direction. Although the market can be a complex, dynamic, and constantly changing environment, our analytical strategies is sure to help you develop an efficient outcome for your organization. We are focused on providing our experience, expertise, and resources to all our clients throughout the world. Safety is of the utmost importance to us and we make sure that our workforce and communities we operate in are safe. We also ensure that the environment is treated with respect to its safety and sustainability. Our decisions impact those around us and we care about those impacts and the consequences of our decisions. We value diversity in perspectives and thoughts and respect each other and our relationships with those we work with. We are committed to following and upholding the highest standards that we have set for our company. Because our operations are hazardous, we have implemented disciplined and systematic management. We constantly strive to improve and learn to deliver quality results to our clients and are not afraid to correct ourselves when we are wrong. We at AIG understand courage is a condition precedent to progress and central to the success of any organization. Crucial characteristics like leadership and innovation weaken in the absence of courage. As an industry leader, we are not afraid to speak up, stand by our beliefs, or ask for help if we need it. We believe that the team is stronger than the individual and will do whatever we can to put the team before our own success and needs. We are devoted to strengthening and building our team and we hold each other accountable to deliver on our respective responsibilities. Americorp International Group of company’s petroleum division is an international manufacturer and marketer of transportation fuels and other petrochemical products. We are an independent petroleum refiner and ethanol produce. 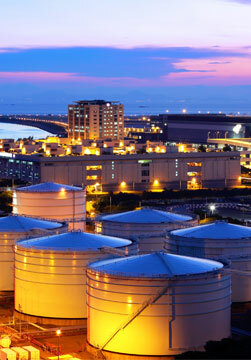 Our petroleum refineries are located in the United States, Middle East, South America and Asia. We provide a variety of oilfield services such as: drilling, well logging, mud logging and more under various conditions of land, water, desert, and etc.